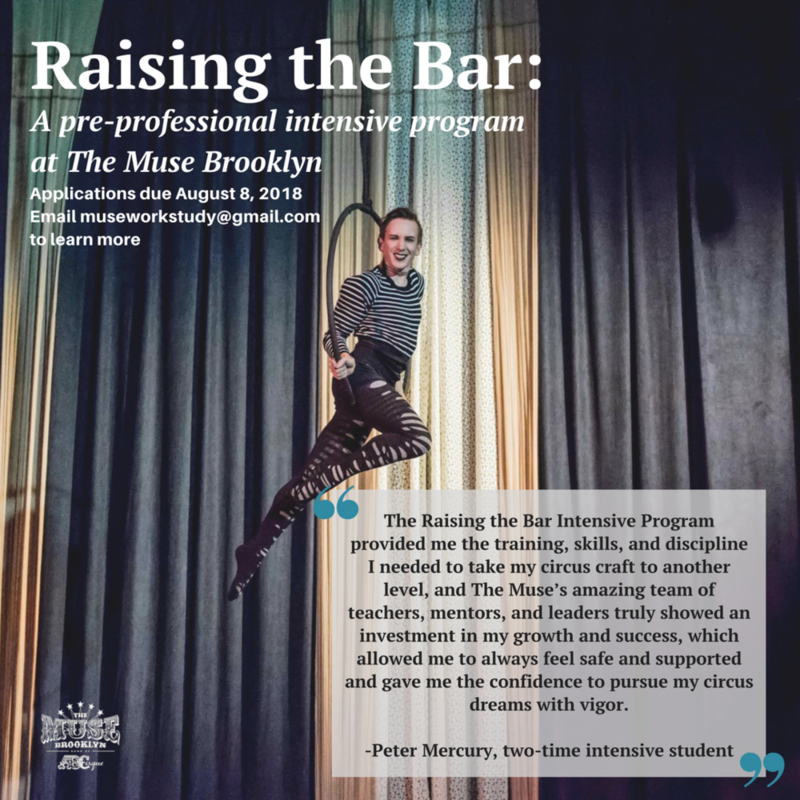 Elevate your circus skills to a career-focused level, in The Muse Brooklyn's "Raising the Bar" Pre-Professional Intensive Program! This is a three-month commitment that ensures each participant meets their highest potential possible while preparing them for the real world of training, auditioning, and performing. The Intensive requires a tuition of $500 each month for a total of $1500 over the course of the program. In return, the participant receives unlimited opening work out training time, a specific track based on their goals, pre-enrollment into 6 classes each week, and a mentor to help guide them in their professional journey. This accumulates to an end-of-the-program called the Evolving Artist Showcase, where participants can show off the skills they’ve gained and refined over the past few months. Applications due by Saturday, June 8th, 2019. Audition for the Intensive program (by invitation only) is Saturday, June 22nd, 2019 from 10am-12pm at The Muse Brooklyn (350 Moffat St).